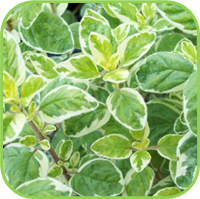 A very hardy oregano which will keep its leaves over winter if the soil is not too wet. Use with egg, tomato, pasta, stuffings and great to flavour oil. Height 30cm. Prefers a sunny spot. Happy in a pot or planted in the ground. Soil conditions: Light to medium shallow well drained soil with low salinity and moderately fertile. Cultivation methods: They will prefer full sun with a moderately fertile, well-drained soil. Make sure you trim the excess growth regularly and you can propagate from seed in the spring or by root division in the autumn or spring. Natural habitat: Dry grassy areas and scrub, usually on calcareous soils.